There is something enchanting about a hot tomato. The way it puckers slightly, but holds onto its essential shape, and you just know it’s full of hot, sweet juice, ready to make you believe that maybe, just maybe, summer could last all year long. Look at these globes of summer. 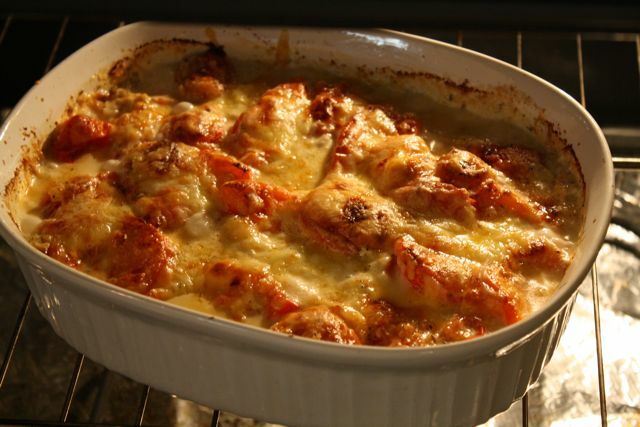 Yes, they are perfect eaten neat – I mean twisted off, dusted on your shirt and popped in your mouth – but they’re somehow even more perfect bubbling away in a gratin. 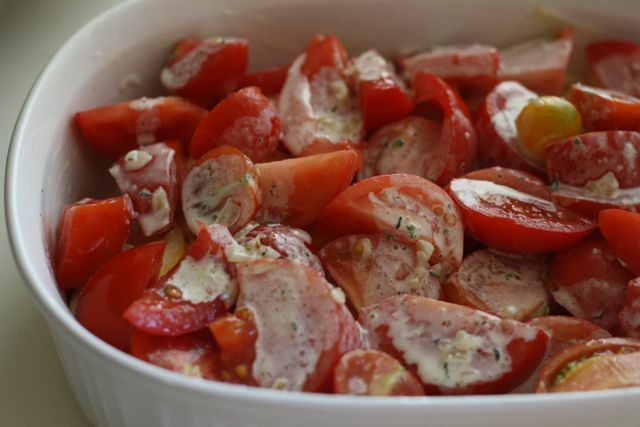 I first encountered a tomato and zucchini gratin when I was visiting relatives in Hamburg, Germany. At the time, I didn’t eat red meat. 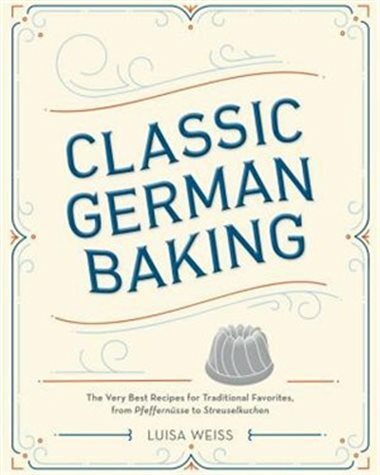 This was – and is – a hard concept for most Germans to understand, and I think my mother’s cousin Christina searched high and low for what to cook for me. This was my favourite. 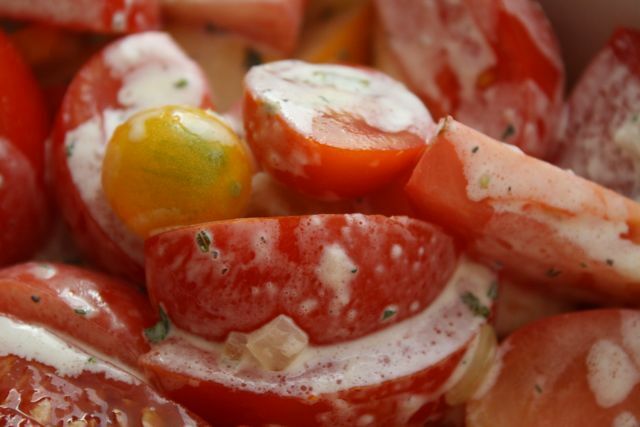 She tossed ripe tomatoes and zucchini with a creamy sauce and covered it with cheese, baked it in the oven . . . This was my first introduction to the gratin: a dish of vegetables with herbs and cream and cheese that bakes and bubbles into a vegetable dance party. Today, I wasn’t sure exactly what Christina put in her sauce, so I let my herb garden inspire me. Who knew that summer savory is a good friend of the tomato and the zucchini? Now I do. I also used shallots and butter (hard to go wrong) and topped it with a scattering of breadcrumbs and a decidedly generous toss of cheese. You can play with herbs and cheese – as long as you toss the tomatoes and zucchini with something creamy and flavourful and top it with lots of cheese, I think you’ll be pretty happy. This gratin is very juicy when it comes out of the oven, all the better for seeping into the rice. However, if you like a thicker sauce, mix 1 or 2 tsp. of cornstarch with 1 tbsp. cold water. Stir that into your almost boiling cream. Thank you to my dad and my friends Robert and Janet in Courtenay for providing the home-grown tomatoes and yellow zucchini. Without you, this dish wouldn’t have been possible. This post is part of Summer Fest 2010, which is a community food blogging event to write about (and eat!) seasonal produce. Today's Summer Fest theme is the lovely tomato. Food2: What's the deal with heirlooms? 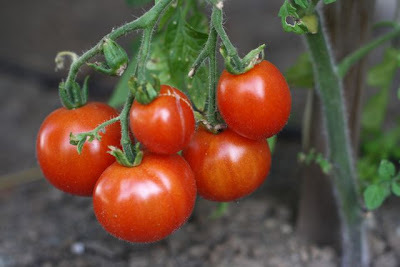 If you'd like to join the festival, leave your comment or recipe about tomatoes on my blog and the others' blogs. 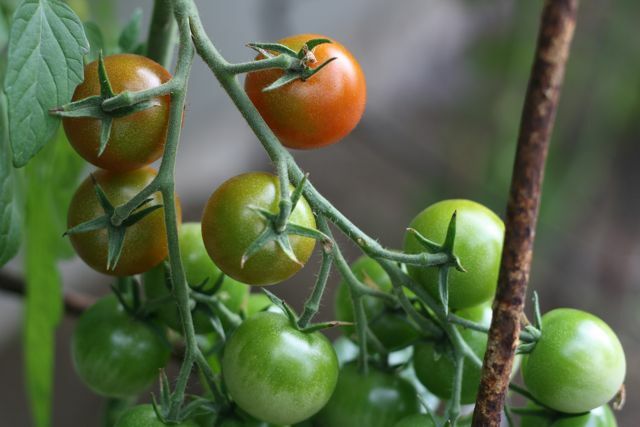 The idea is to get everyone talking about what's ripe right now and how we can eat it. I have not yet encountered a good pre-made gluten-free breadcrumb. I would recommend pulsing a piece of gluten-free bread in a food processor to make your own. Preheat oven to 375 degrees Fahrenheit. Butter a 10-cup casserole dish. Sauté shallots in butter over low heat until the shallots start to become translucent, but not browned, about 5 minutes. Toss the zucchini with one third of the cream. Pour into the prepared casserole dish. Cover with tomatoes. 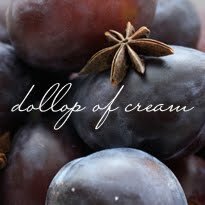 Spoon cream over top. Scatter breadcrumbs over. Sprinkle cheese on top. Bake uncovered for 30 – 35 minutes. If your cheese is not browning at the end, turn the oven up to 425 degrees Fahrenheit and cook for 3 or 4 more minutes. Serve over rice that has been tossed with peas.